Six years can pass quickly. Time is a magical, relative, and marvelous unit of measurement for our lives. In these past six years I have grown a lot, coming to understand several things in life that I had previously struggled to pay much attention to. Maybe you can call it a form of maturity, when the way people see things changes. We tend to become more pragmatic as we age, sometimes we get a bit more cynical towards the world too, but this isn’t the definition of growing up, this is how you lose your imagination and the will to have fun with life. I have always adored making noise, creating controversy, stirring people up—perhaps I should have thrown myself into politics rather than pushing buttons on a camera. If I did, by now I would have an excellent salary, a life free of repercussion, and a nice garage full of beautiful cars. Please, let me dream for a moment. I love having discussions with people and never shy away from arguments. I have always loved to to throw myself headlong into diatribes of any kind, but especially so with car enthusiasts. I really love this part of the job. The ability to create relationships, to confront, and to learn. The relationships creation therein have allowed me to meet many fans of this magical world of automobiles and motorsport, but Lorenzo, the owner of this beautiful black creature you see here, has changed my way of seeing things—once again. Let’s back up for a moment, to April. My window’s open, the curtains are stirred by a light sea breeze that promises a warm summer. I’m in my room editing photos of the Motor Legend Festival at Imola, and I hear my phone ringing; an Instagram notification from Lorenzo! A true car enthusiast, he’s only got about twenty years on his shoulders, but a passion that I dare to call infinite. 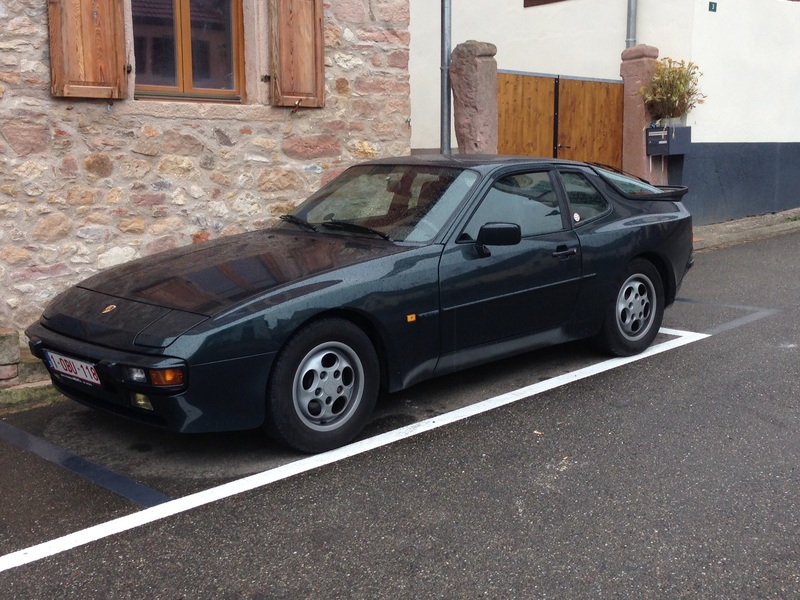 Meaning, of course, that this 944S is regularly used as his daily car. 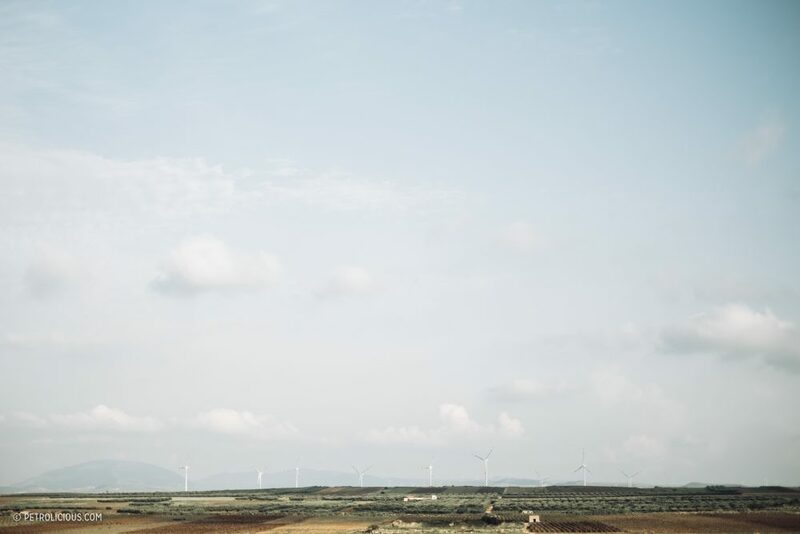 A black slice in a land populated by yellows and greens, in a hidden part of Sicily where the vine fields merge with abandoned architecture. 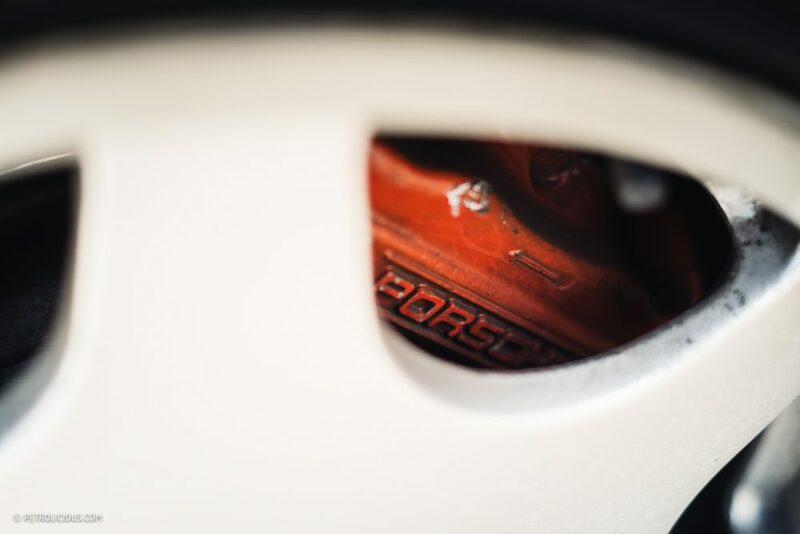 It is a wonderful place that Lorenzo’s brought me to photograph his transaxle Porsche. 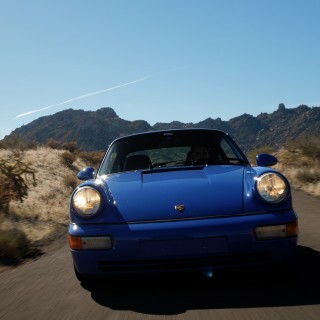 When I think of Porsche, I am part of that vast majority that always thinks of the rear-engined 911. 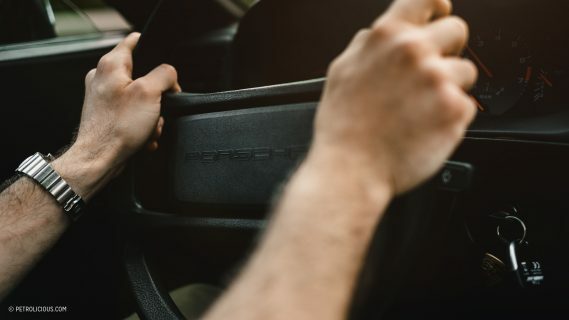 It was the Porsche way of doing things that remained all but unchallenged until the company decided to shift its philosophy in the mid-1970s in a bid to attract a new audience, especially in markets that Porsche had yet to tap. 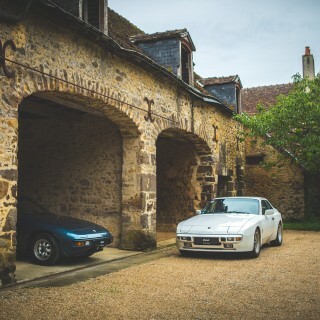 These were the front-engined, or transaxle cars like the 924 and the 944, and the similar-yet-separate 928. Those were years when they were okay with putting aside traditions and ideals in favor of something new. It’s not a bad sentiment to have, but it sure irked the 911 faithful. 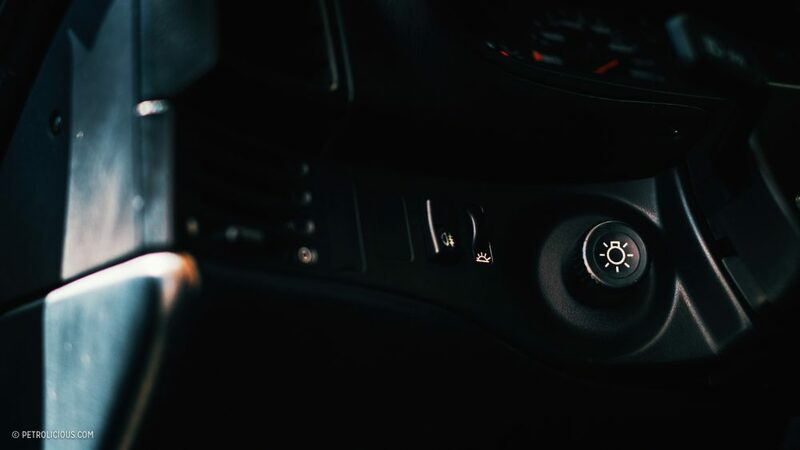 The idea was to offer a totally different concept, a car that combined comfort and speed and the Porsche feel but at an attractive price point. 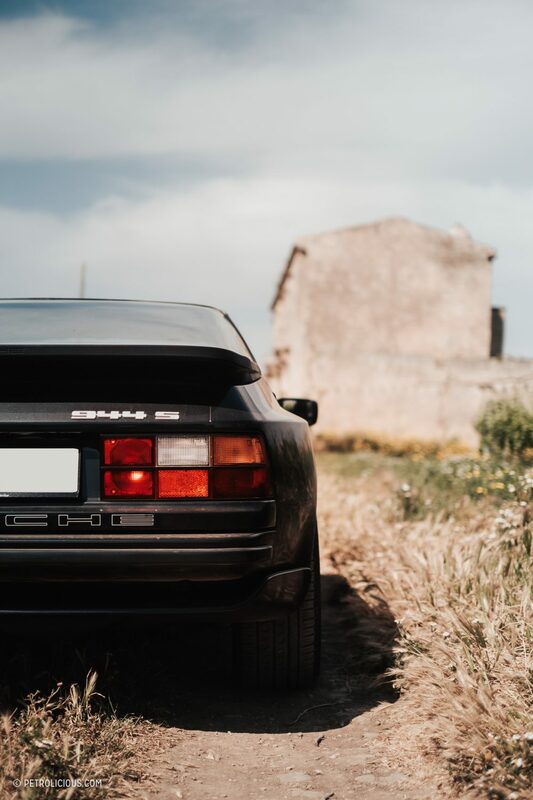 The 924 was the first example of the new breed. 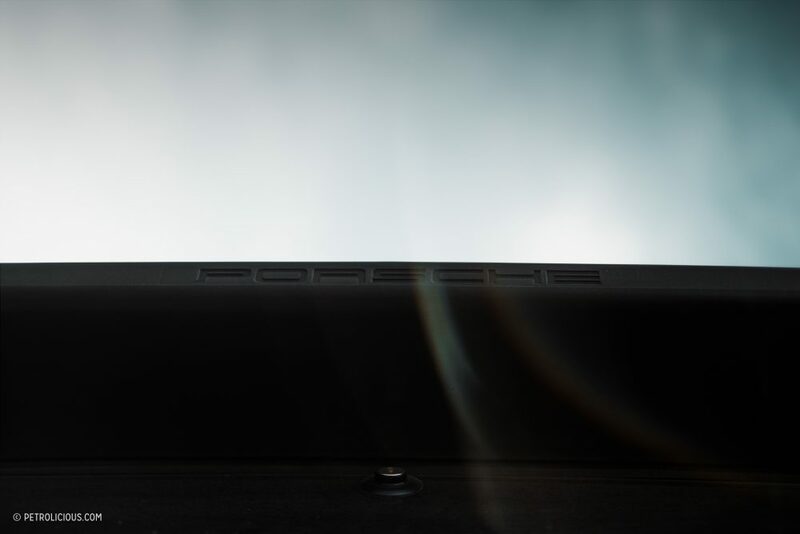 With its sloped, flat nose, expansive glass tailgate hatch, pop-up headlights, a completely new shape for the company, and a gearbox mounted in the rear and connected to the engine up front. 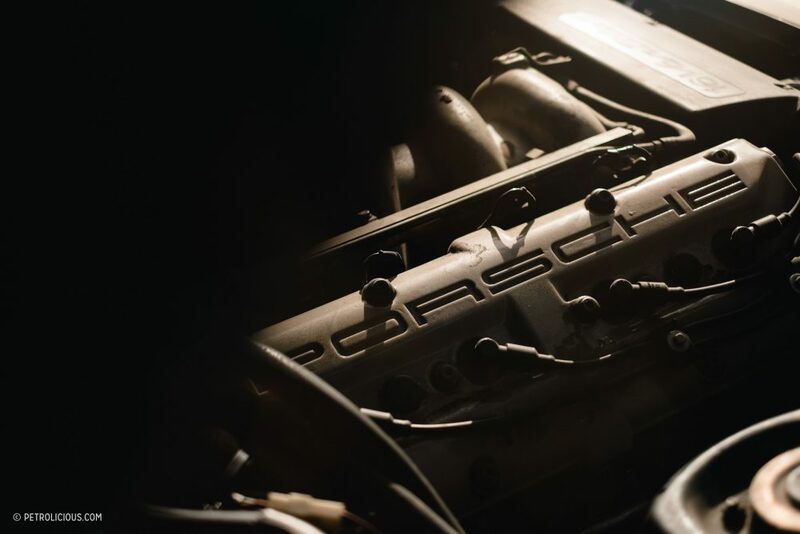 Thus Stuttgart’s transaxle design was born, but it had already raised many a doubt. 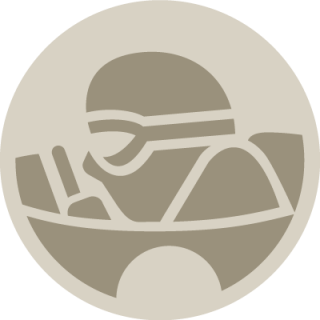 The unbridled Porsche fans of tradition did not look favorably on what they saw as an inversion of course. 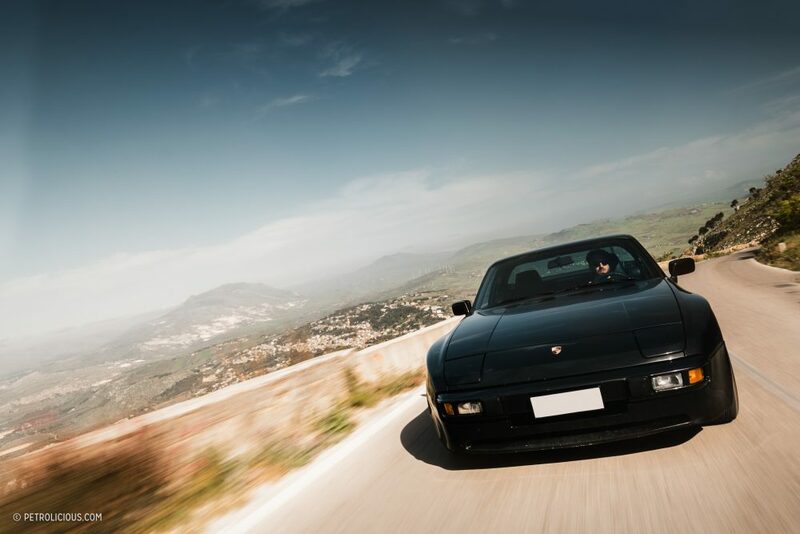 The 924, in fact, did not achieve what Porsche hoped it could in sales figures. 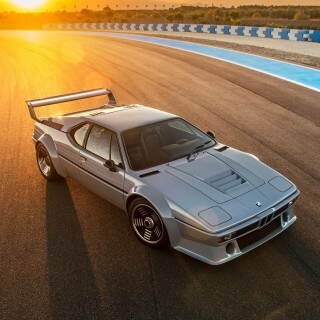 Its appearance was not really graceful in comparison to what the brand was known for, and it was often bested by its Japanese counterparts that offered more performance at a lower price. 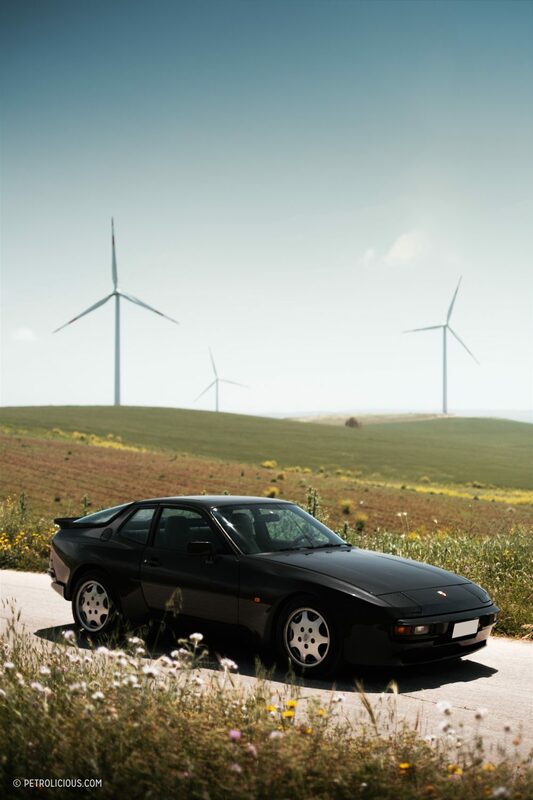 But Porsche, not keen to give up, churned out the 944 in the following decade, updating the characteristic features of the 928 and maintaining the new philosophy brought forth with the 924. 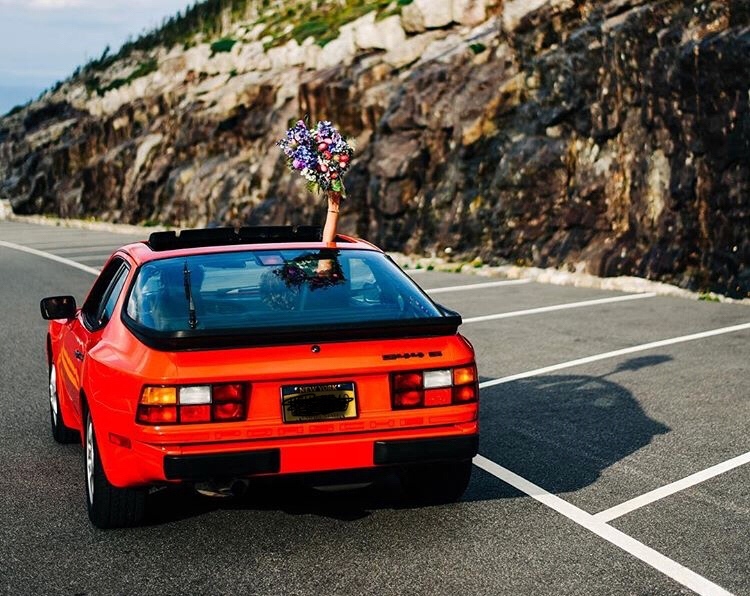 The 944 made a strong impression and not a ubiquitously positive one, but it slowly became accepted by fans of the marque, even those who initially maligned the 924 to hell and back. 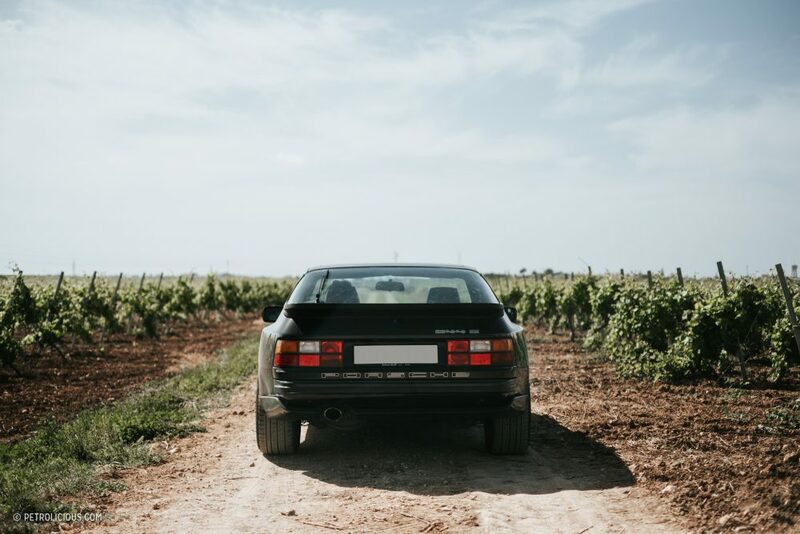 The 944’s successes in motorsport, coupled with more sports versions available to the public, made it a more impactful car than the 924, which was still sharing showroom floor space with the 944 until the late 1980s. 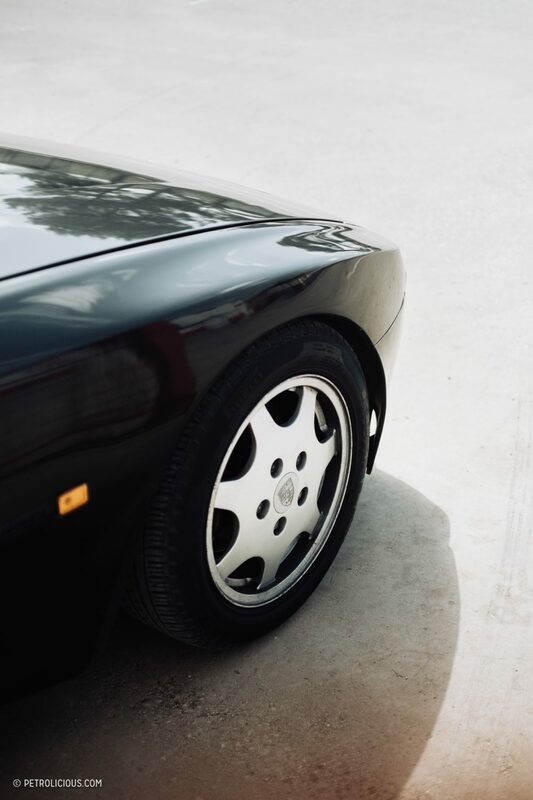 The 944 had breached the wall of Porsche stubbornness it seemed, and in doing so embedded itself in automotive pop culture, then, and still today. 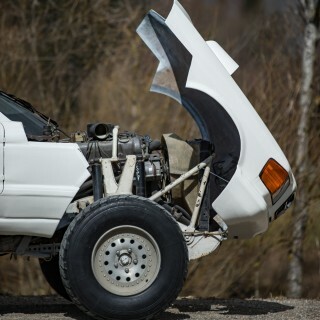 With 190bhp pumped out of a naturally-aspirated inline-four equipped with four valves per cylinder, the car is no slouch but no drag strip hero either, but it offered remarkable roadholding thanks to near-perfect weight distribution while maintaining a level of comfort similar to many modern cars. 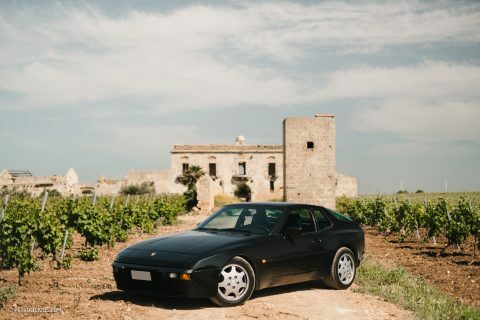 In appearance, too, there was a marked improvement; the fastback shape of the 924 took a decidedly more muscular presence in the 944, which helped to attract a new group of buyers who might have called the 924 a bit anemic in comparison. 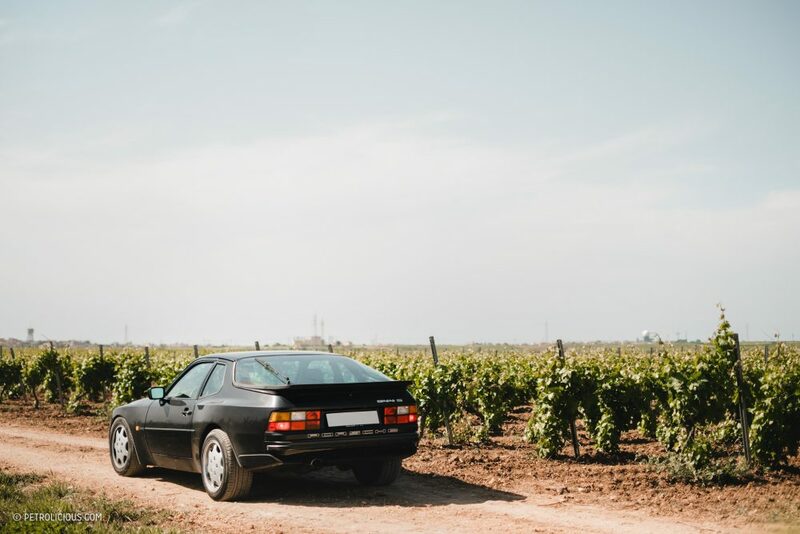 Today the 944 is a relatively affordable classic sports car that has allowed an every-young audience an opportunity to own a car with the Porsche crest. To the flat-six “purists” of the world though, the 944 is still an outsider, an ugly duckling that shows its beauty only to those who look at it with the right eyes. Lorenzo falls squarely into that camp. To him it is a hotbed of passion that has set fire to his heart. 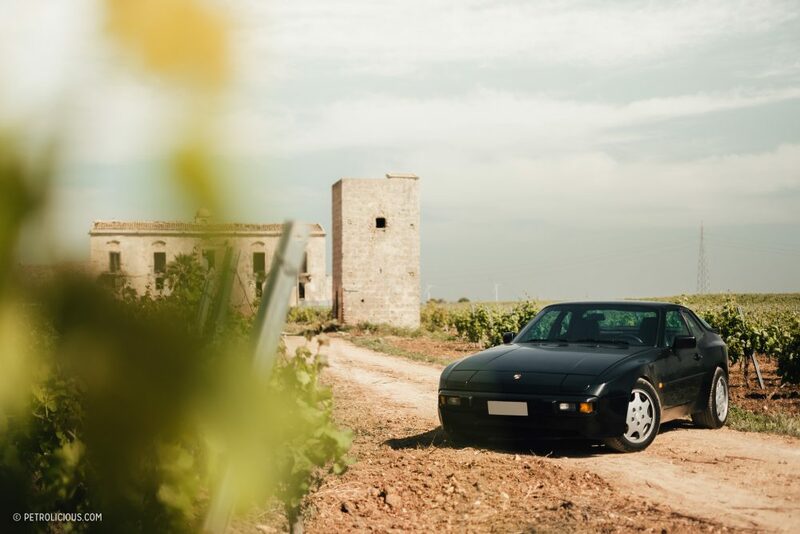 A longtime Porsche enthusiast—regardless of engine placement—he searched Italy far and wide for the right 944, traveling across the country or by way of nocturnal research on the computer late into the night, rubbing tired eyes full of sleep. Between owners who were not quite correct about what they had, endless phone calls, and many a dead end, it was not a simple task. However, he kept his focus and never abandoned the hunt, finally reaching payoff in the form of this black beauty. 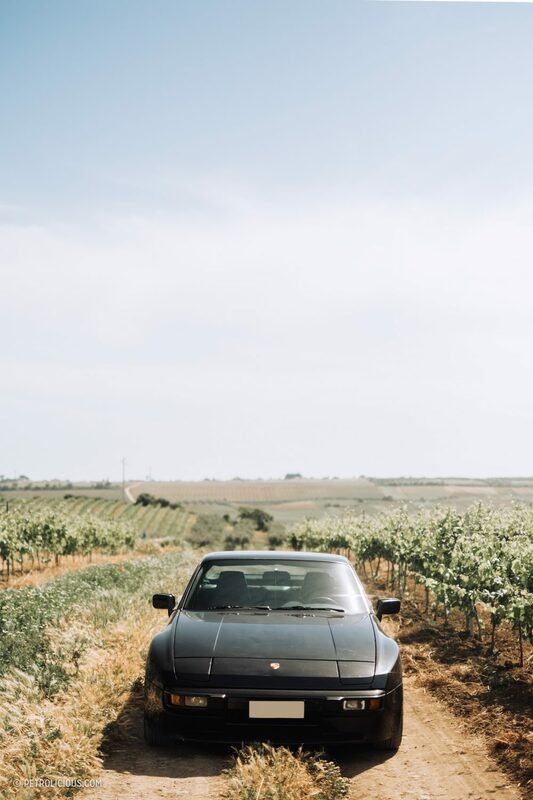 Lorenzo’s Porsche is a story that seems simple—a guy buys a car he wants—but it carries a lot of meaning all the same. We are so bombarded by the modern western mindset that never allows one to enjoy things but for a brief moments before its replacement is conceived. 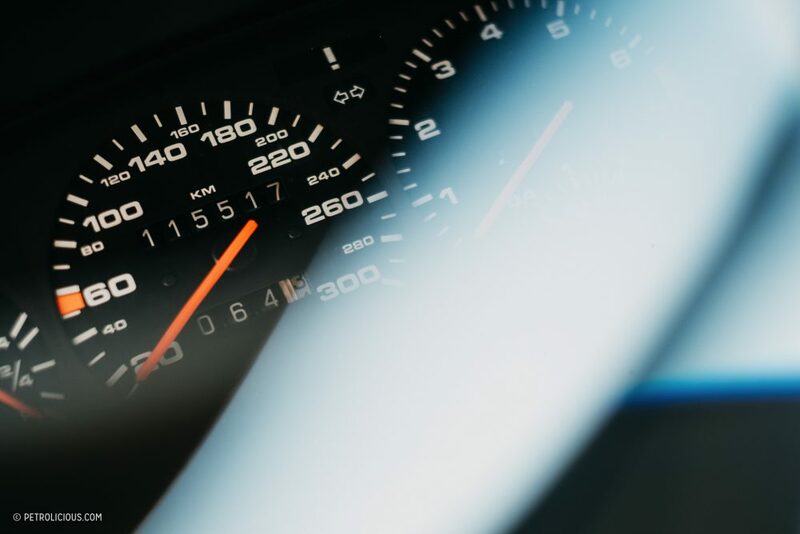 It’s sad to see how effective marketing can be, how strongly tied our wellbeing is to the recency of the things we own— we think we need the newest, the most beautiful, the fastest, the best. But what is “the best”? I think it’s simple: it’s what makes your heart beat faster. 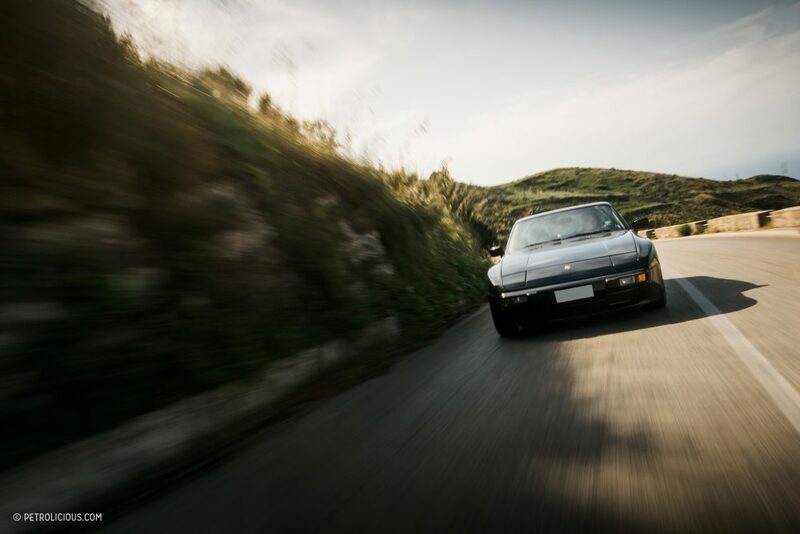 The best of the bunch—whatever said bunch is—is the one that takes your mind away from your body, or in this instance, the car that puts a smile in your face on a mountain road at 200km/h. The best is that which you can give all of your love to despite and in some cases because of its faults, accepting the beauty and ugliness as they come. This type of thinking takes me over every time I see Lorenzo’s smile from inside his Porsche. 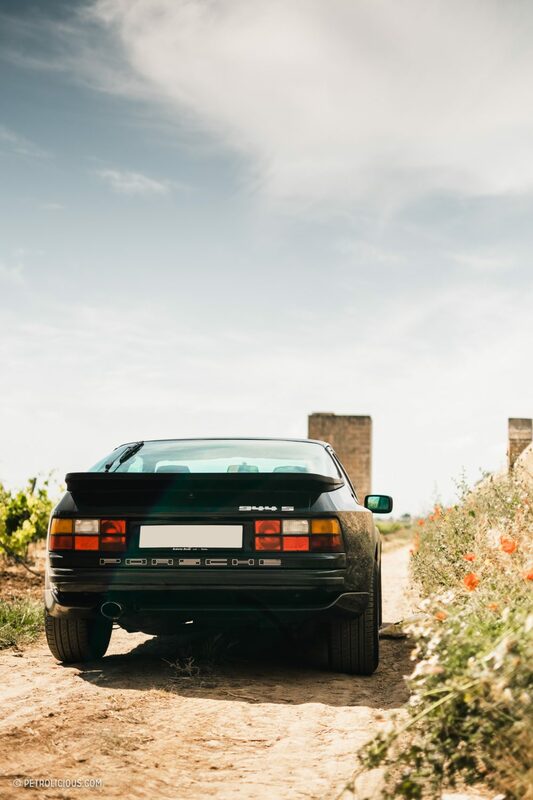 He understands that the 944S is not just a car to have its spec sheet analyzed, but a way of going about life, a real philosophy. 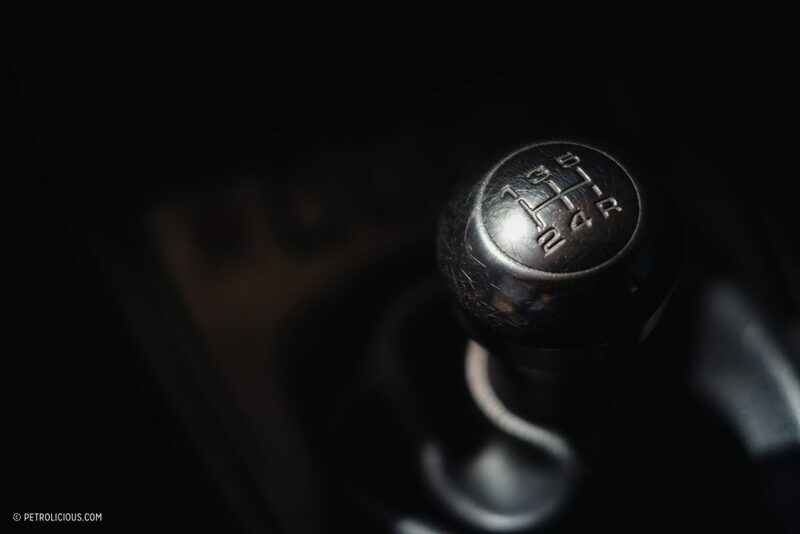 Different, perpetually criticized by some, but true and sincere—when you press the gas pedal, do not look at the brand, do not look at the horsepower, do not compare technical data, just push it. Probably most would say a 911 is more beautiful, more fashionable, and better suited to posing in front of cool bars on a Friday evening. 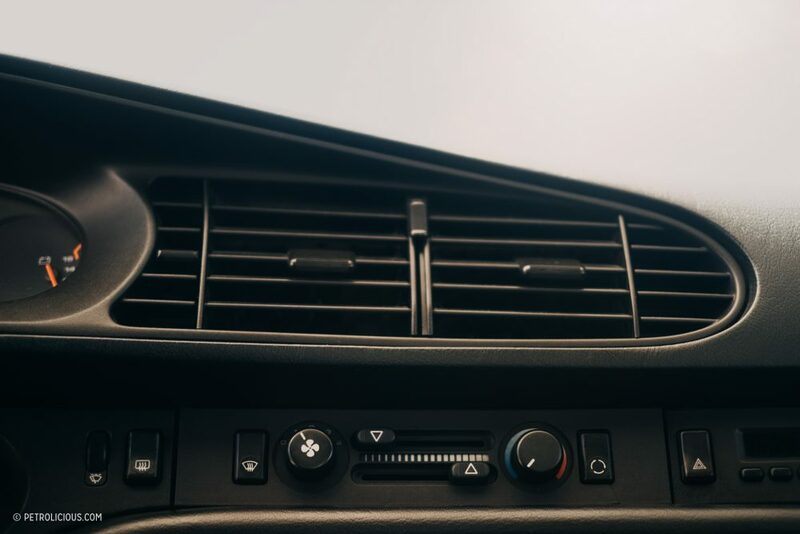 You will undoubtedly receive more the attention from the pretty ladies too, believe me, but there is something magical about loving a car that you truly connect with. When you buy them for the right reasons, cars will remain forever inside you, while everything else goes up in smoke. 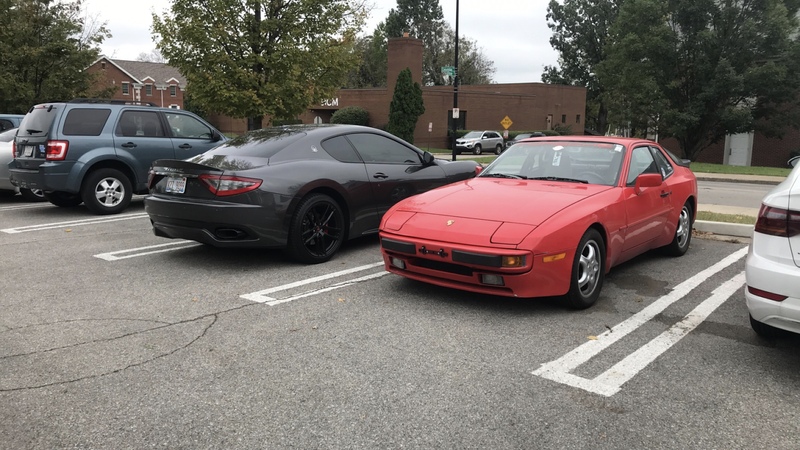 Driving this 944S makes one realize that having an expensive car will not necessarily cause happiness—it seems obvious, but don’t we all know countless examples of people who are blind to this simple fact? Lorenzo’s smile is proof that price tags and power figures aren’t the deciding factors, proof that the younger generation of car enthusiasts aren’t all enamored by gold-wrapped Huracáns. That is so true, now the motor industry is run entirely by accountants. 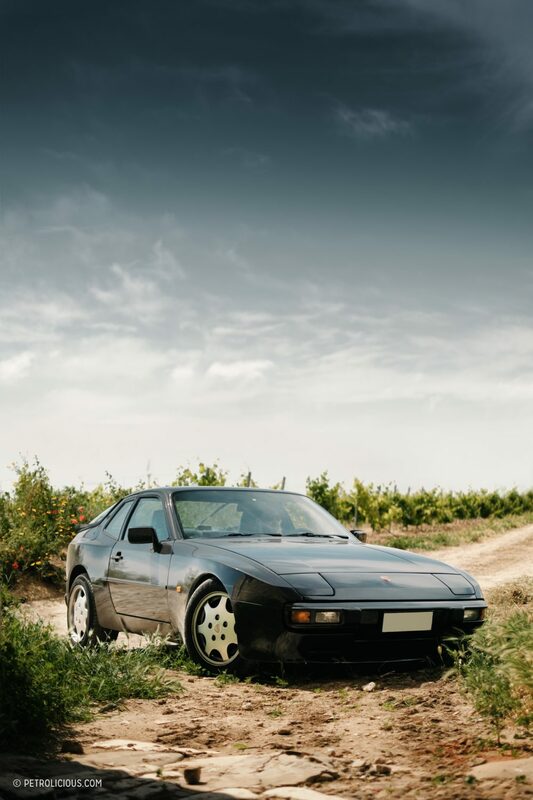 I love the 944 and now that I am getting closer to having my driver’s license, I can’t wait to get behind the wheel of one of these forgotten treasures. I admire you. 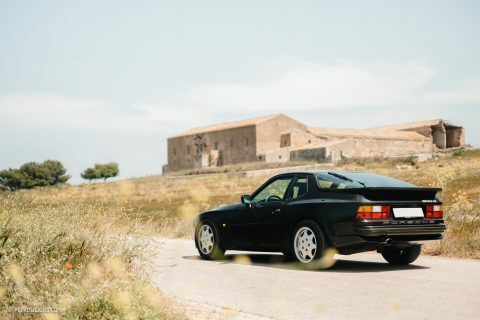 Send me some pics about your 944 as soon as you can. The 944 series was almost common in Southern California during the late 80’s. I always admired them but never owned one. In retrospect the strong twin-cam four and perfectly balanced front engine chassis seemed almost more Italian than German. Here in central Arizona I still see a couple of them in nice condition. It’s so strange that people continue to hate this model. 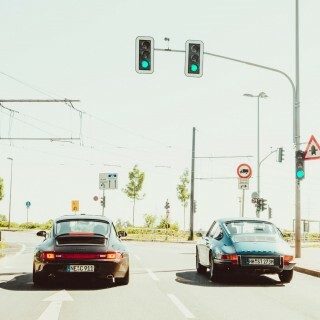 I love the 944. 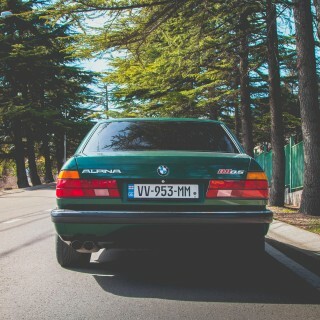 For me is an outsider and now, in Italy, are hard to find with a proper price tag. I had found a white one 2 years ago… and now I eat my hands because I did not buy it. Hi, I have one, too. 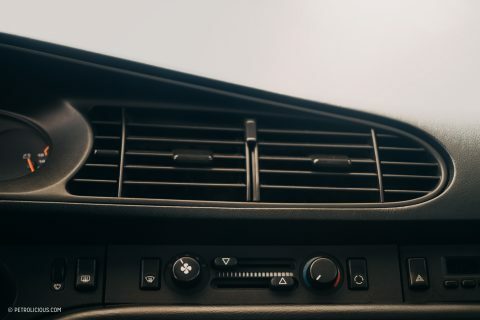 And it’s a blast to drive! Totally agree Jan. Nice rims. Lorenzo, you might want to track down an S instrument cluster and not one from a Turbo! 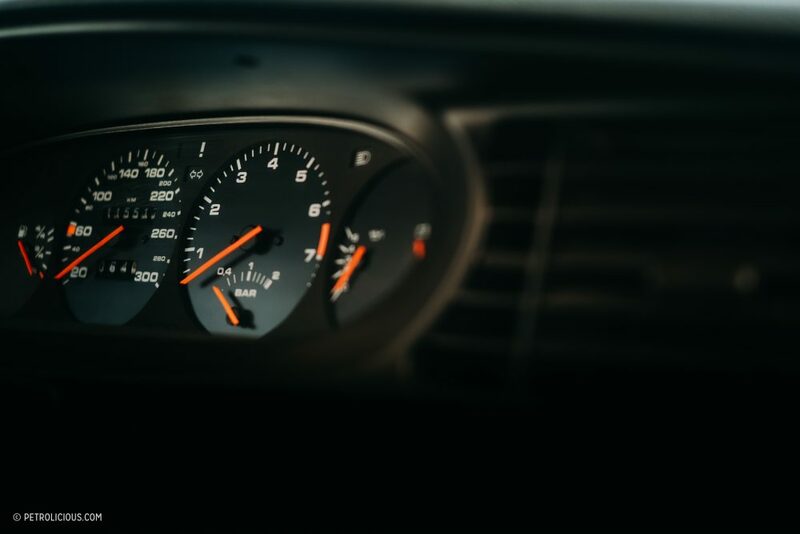 You have no need for a boost gauge, and the redline on that tach is a bit too low. Love it! I have th exact same. Been my poster car since I was a kid. So glad to join the family! Armando – odd that they are expensive in Europe. 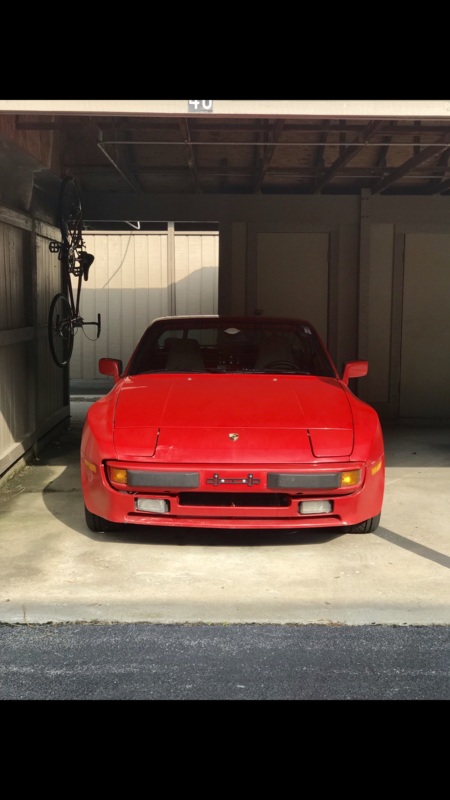 944s are still VERY cheap in the US. I bought mine in April, 2016 with under 90k miles, a thick folder of invoices for recent maintenance, and in very nice cosmetic condition. I looked at a bunch of 944s before settling on this one, and at $8,000 US it was the most expensive of the lot. Maybe, and i said maybe… i found one! A trifecta: beautiful to read, beautiful to view, and beautiful to contemplate. Thanks for sharing Lorenzo’s passion! Nicolas, thank you for your kind comment.